I received the second one, the Go-To Top in Classic Stripe. I love the color, spring green, as green and blue colors are my favorite. The Go-To Top is a super soft cotton slub scoop neck. The perfect transitional layering piece, its tonal Classic Stripe print adds a classic yet modern detail. 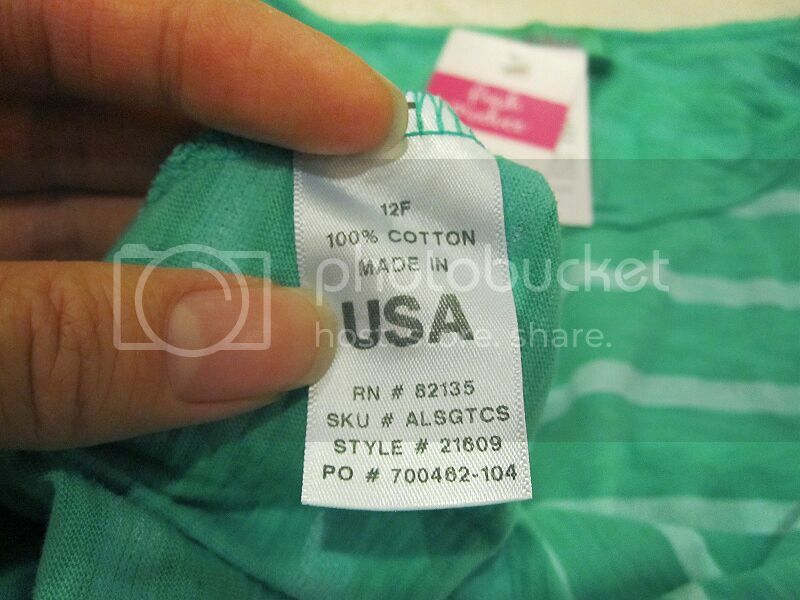 100% cotton slub, Classic Stripe print, machine wash cold, fitted bodice, longer length hem, raw edge detail, made in USA. Garment Dye is the process that makes Fresh Produce Clothing look and feel sun washed and beach born. They sew up the style and then dip it in Fresh Produce color. The process requires heat so all of the garment dyed clothing are pre-shrunk. Just in time for the summer, the top really suits me well and it is really soft and comfortable. Did I mention I love the color? So, when it gets chilly in the night here, the long sleeve works. It also keeps cool during the warm days since it is thinner than most T-shirts I have. This is me trying on the comfortable shirt. 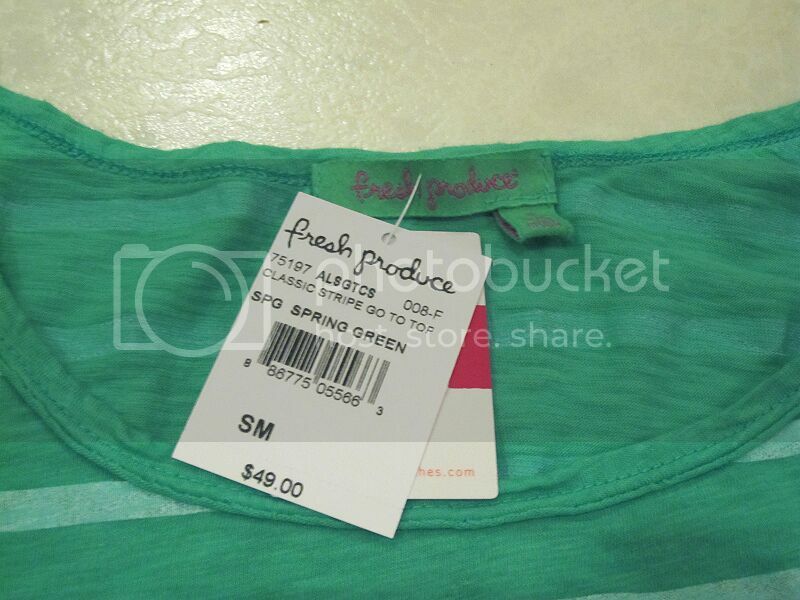 Fresh Produce Clothing have various popular styles including dresses for spring, sun dress, and casual clothing. Check out their website and I'm sure you'll find a style you like. WHERE TO BUY? You can purchase online at www.freshproduceclothes.com or at your local retail stores throughout the US and Canada. Produce varies by store. You can search here for local Fresh Produce Retailers in your area. 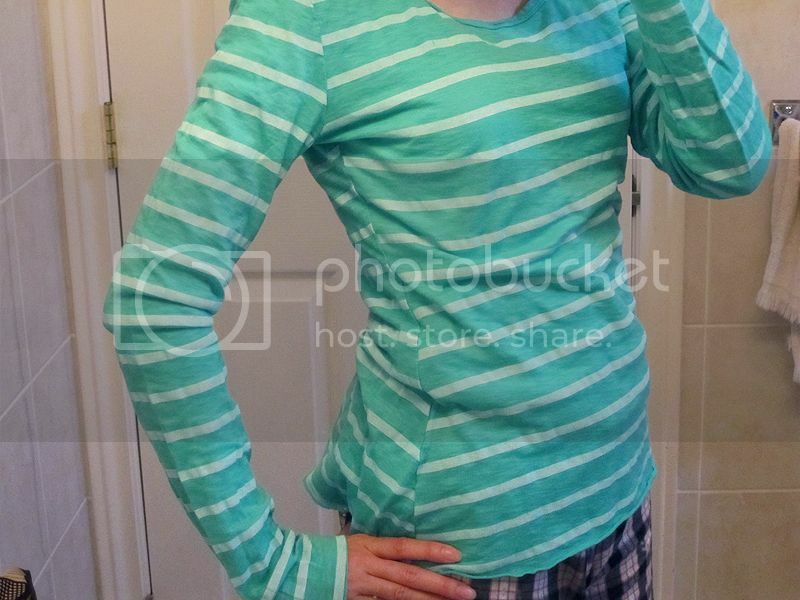 Disclosure: I received the above mentioned clothing in exchange of my review in this post. Any expressed opinions are my own and personal thoughts. No other compensation was given.